We have only one top 16 player in there, Mark Williams, who, quite extraordinarily, faces a player in Mike Dunn who has never reached a final in his 26 years as a pro, whose highest ranking ever was n°32, but who has defeated him four times in five previous encounters, Mark’s only victory coming in the Shootout of all events! . We also have four Chinese players in this, three of them members of the Vic Snooker Academy. Yan Bingtao and Lyu Hao Tian are still in their teens. And also there we have Elliott Slessor who defeated Sam Craigie on the back of his win against Ronnie. 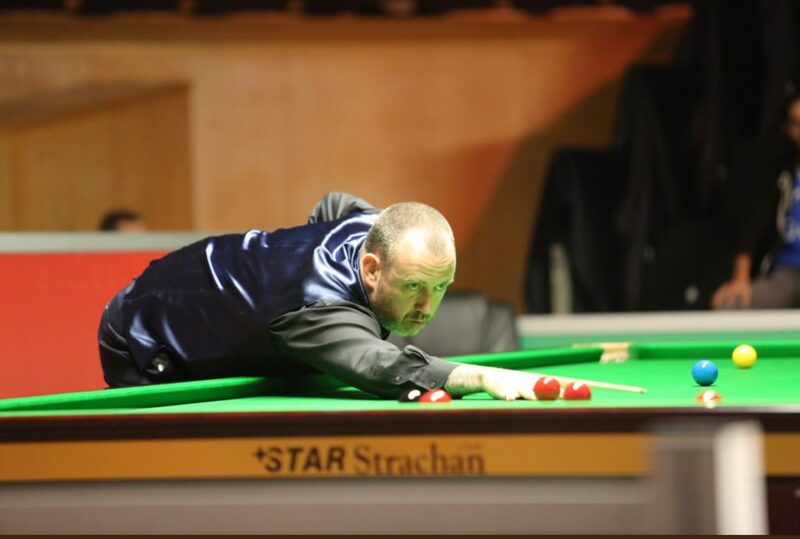 Mark Williams is the only top 16 ranked player through to the quarter-finals the Dafabet Northern Ireland Open after defeating David Gilbert 4-2 in Belfast. Seeds tumbled in day four’s earlier last 32 clashes. Ronnie O’Sullivan’s hopes of the £1 million pound bonus for winning all four Home Nations events were ended by world number 82 Elliot Slessor. John Higgins was defeated 4-3 by Gary Wilson in a superb tie and Neil Robertson lost out 4-3 to Robert Milkins. Williams earned his spot in this evening’s last 16 with a 4-1 win over Sunny Akani. That was the first frame the Welshman had lost this week, but he faced a sterner test this evening against Gilbert. They went blow for blow in the early exchanges, with a break over fifty each of the first five frames. Gilbert fired in contributions of 67 and 74, but Williams made breaks of 52, 79 and 63 to move to the verge of victory at 3-2. He got himself over the line and booked a quarter-final clash with Mike Dunn. Robert Milkins followed up his superb win over Robertson with a 4-2 defeat of three-time ranking event winner Ricky Walden. 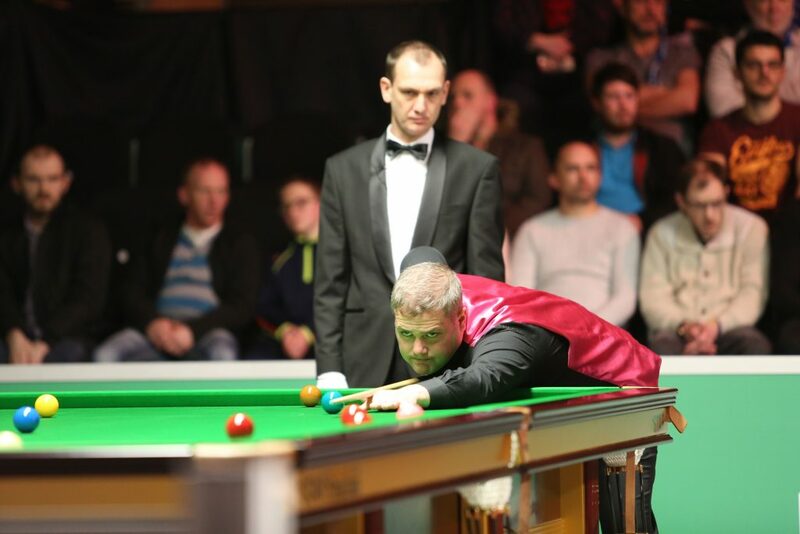 Milkins has reached ten ranking quarter-finals in his career and appeared in a further six semi-finals. However, he admits that with several big names falling by the wayside this week is a chance to go further. Teenager Yan Bingtao came through late night thriller against Ryan Day 4-3 and will now face Milkins in the last eight. Mike Dunn set up his showdown with Williams thanks to a 4-1 defeat of 2014 Players Champion Joe Perry. Elliot Slessor backed up his defeat of O’Sullivan with another 4-1 win, this time over Sam Craigie. Liam Highfield’s run was ended by China’s Lyu Haotian. ← Nothern Ireland Open 2017 – Elliot Slessor ends Ronnie run.